February | 2014 | Welcome to My Strokes ! I read ancient perspicacious Thirukkural two times. Being a student of development management academy I found various management theories, my perception was that management theories are developed in a modern age but after reading this book I realize that modern management theories are a abstract from of Thirukkural. I am going to share some of the lesson which I got from this ancient scripture. 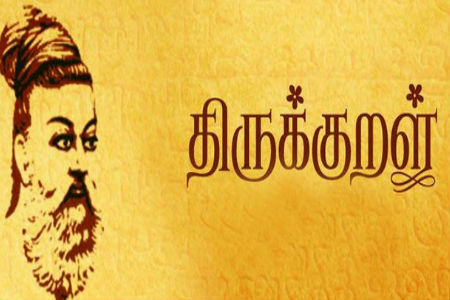 Thirukkural is an ancient Tamil literature which gives a luminous insight and wisdom to human. Thirukkural comprises two words Thiru and Kural. Thiru means scared and Kural means short verses. Thiruvalluvar, the author of this ancient scripture lived in Tamil Nadu about 2000 years old. Thirukkural contains 1330 couplets in 133 chapters, each chapter contains 10 couplets. Every chapter has some specific topic to expound the various aspects of life. This book has three main parts, Life with the power of goodness, Material life and Life with the passion of love. The first category covers virtue, wealth and love. The second part comprises economy, wealth, administration and policy. Second category is most important and it comprises 700 couplet. These three parts have touched the every aspect of our life, this shows the speciality of this ancient scriptures. This ancient scripture presents the ethical content which is beyond the boundaries of country or world. These ethical contents are away from geographical, linguistic and religious frontiers.